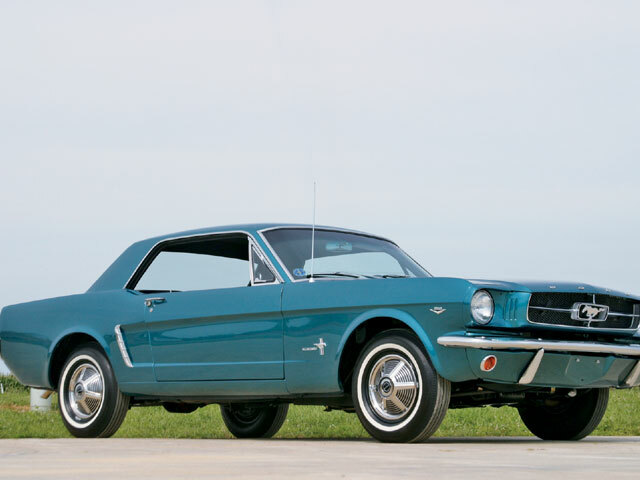 The 1965 Mustang Hardtop was the start of something incredible When Ford released this historical car they created an American original that would stand the test of time. The 1965 Mustang is regarded as the first generation of Mustang. The first-generation Ford Mustang was manufactured by Ford from March 1964 until 1973. The introduction of the Mustang created a new class of automobile known as the pony car. The Mustang’s styling, with its long hood and short deck, proved wildly popular and inspired a host of imitators. 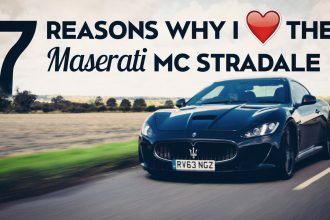 Although it is not as powerful and way simpler than its later models it has a genuine style and stance that makes it loved by automotive enthusiasts all over. It was initially introduced as a hardtop and convertible with the fastback version put on sale in August 1964. With each revision, the Mustang saw an increase in overall dimensions and in engine power. The Ford Mustang Mach 1 is a performance-oriented option package of the Ford Mustang, originally introduced by Ford in August 1968 as a package for the 1969 model year. The Mach 1 title adorned performance oriented Mustang offerings until the original retirement of the moniker in 1978. 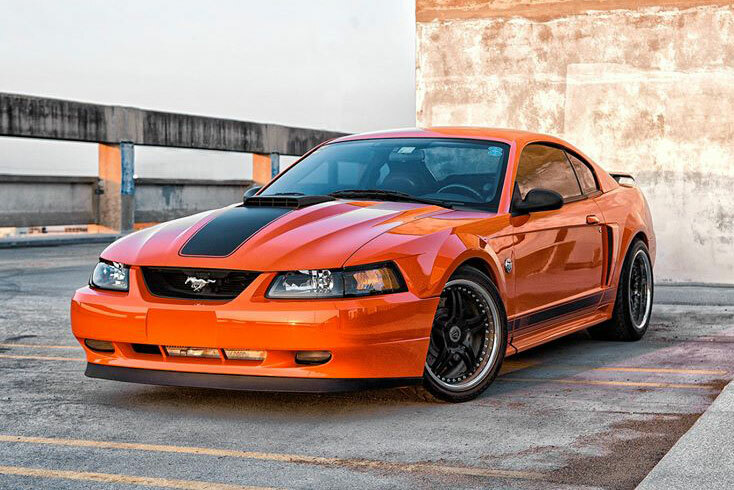 The 03-04 Mustang Mach 1 may have started out as a concept car but emerged as one of the best selling Mustangs to have ever hit the market! Equipped with a powerful 4.6L 32valve overhead cam V8 this car was capable of incredible power and was provided great style to match Despite it being a short lived chapter in Mustang history it is definitely a car that will never be forgotten. The Mustang hadn’t been selected to pace Indy since 1964. 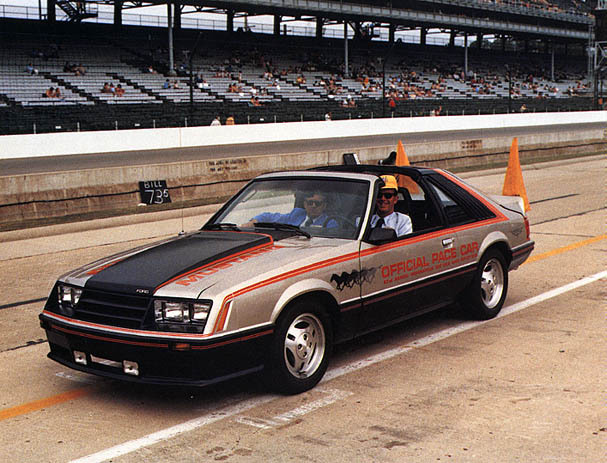 Three official pace cars were created for track duty. These cars looked identical to the replicas available for sale in every way except for a T-Top, (fitted by Cars and Concepts) an option that wouldn’t be available from the factory until the 1981 Mustang. 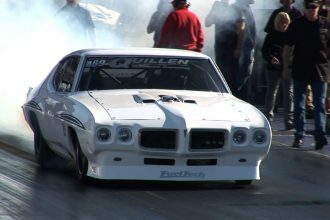 They used specially prepared 5.0L V8 engines modified by Roush Industries using a Holley carb, aluminum high-rise intake, and 351 Windsor heads. The engine breathed through 1.84 intake / 1.54 exhaust valves with 289 HiPo springs and the 1970 Boss 302 solid lift cam.